Genya Yada and Rinnosuke Takehara built this tenement in 1912-1913, located at 1017 W 7th Avenue. It is the only worker’s tenement that has survived in Fairview Slopes. 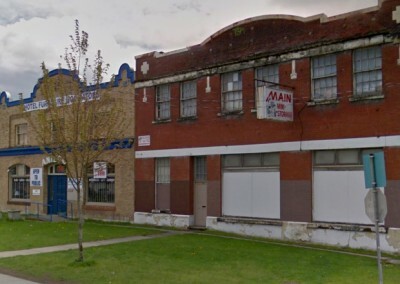 At 1017 West 7th Avenue (near Oak Street) there is a striking early workers’ tenement that clings to the Fairview slopes. Built in 1912-13, the Takehara/Yada Apartments is a wooden structure only 18-feet wide, but stretches north-south for 110-feet, with a narrow walkway that runs along its east side. The building covers nearly all of its 25-by-120-foot lot. At the street front, the building is two-storeys high with bay windows on each level. As one proceeds along the walkway, the structure drops down the hill in three masses, to four storeys in height on the lane. Four chimneys and four interior staircases pierce the interior of the seven suites. A glance out the building’s rear windows is all that is needed to understand the economic pressures on this property. The view of the city skyline and mountains beyond is spectacular. Redevelopment has occurred throughout the area, based on the area’s FM-1 Multiple Dwelling zoning. 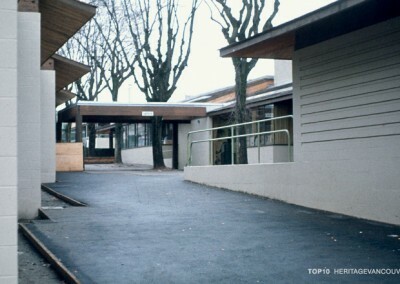 The Fairview Slopes neighbourhood densified quickly in the 1970s as a sought-after site for condominiums, and most of the original single-family detached homes in the vicinity of Chocklit Park (7th Avenue and Spruce Street) have been replaced with four-storey strata buildings. The Takehara/Yada Apartments are currently for sale. There is a threat that new owners will seek demolition to make way for redevelopment. The only other option to add value for investors is to raise the rents. In the early boomtown days, the city was full of low-cost housing and innovative ways to house poor and transient labourers. Genya Yada and Rinnosuke Takehara built this tenement in 1912-1913* to house Japanese workers who laboured at the various mills in False Creek during the industrial boom in the early 20th century. This is the only worker’s tenement that has survived Fairview Slope’s recent urban renewal. Also known as the ‘Long House,’ this was the Yada family’s ‘cabin.’ Unlike the Chinese workers who were brought to Vancouver by the CPR sawmill bosses as single men, the Japanese brought families to Canada. 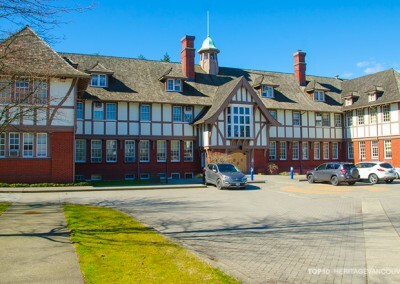 Thus, this building was less “bunkhouse” and more “cabin” (Yada’s term) for young families, overlooking the False Creek sawmills. 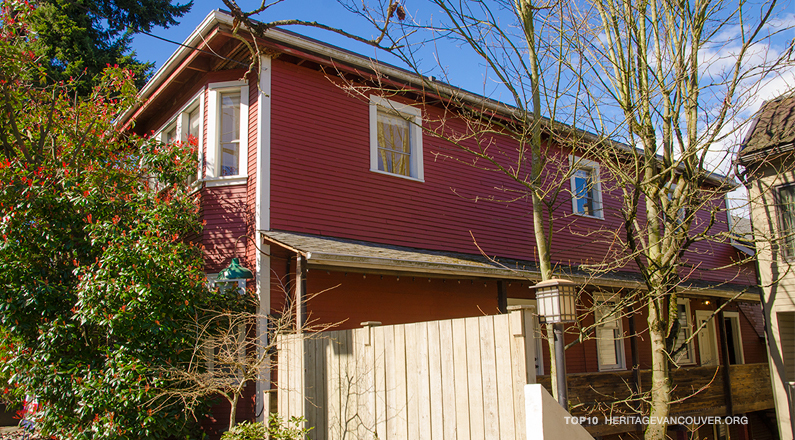 It stands alone in this neighbourhood as a reminder of the Japanese-Canadian contribution to the growth of the lumber industry in the Pacific Northwest. 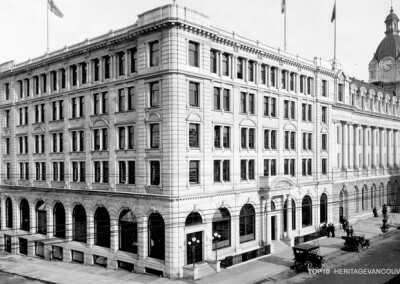 Like most Japanese-Canadian property, it was confiscated during the Second World War. There is no evidence that Council ever took that advice. 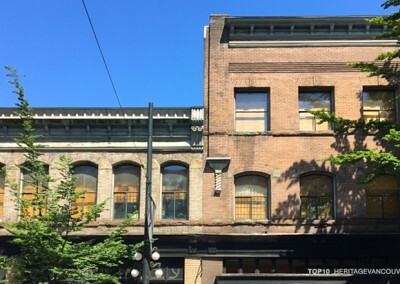 Future owners of 1017 West 7th Avenue must realize that the “A” status granted by the City of Vancouver means that any alterations to the elements that define the heritage value of the building will be carefully reviewed among City heritage staff. Should there be a proposal for demolition, “a formal independent consultant’s report on the physical condition and economic viability of retaining the building” needs to be reviewed by the Director of Planning. Also, any attempt to demolish the tenements by neglect should be thwarted through vigilance by neighbours and the city’s enforcement of maintenance and standards by-laws. 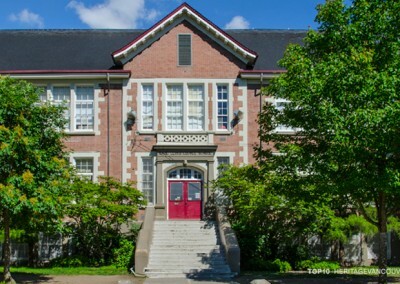 Learn more about the history of the Japanese-Canadian community and their role in the ongoing development of the city. 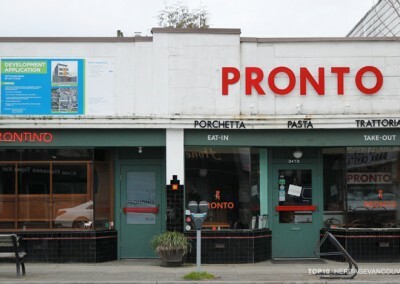 Let City Council know of your support for the retention of this unique and significant heritage building. 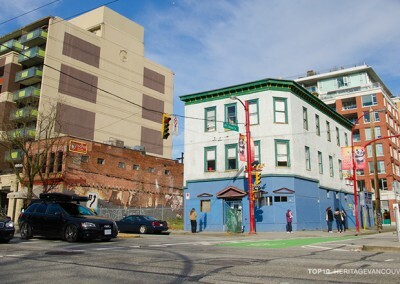 Continue to support the implementation of the Vancouver Heritage Action Plan. 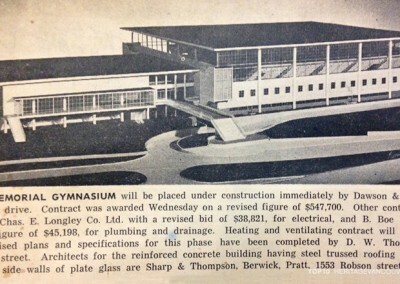 *Building permit no. 3524 issued September 25, 1912 to Genya Yada with a construction value of $2,500, and designed/built by G. Matsuka (of 324 Powell Street).